A Work Order can be assigned or dispatched from one of two places. Make edits to the work order by setting an end date and time, also assigning to the field agent. Main Menu > Work Order Management > Scheduler. Using a Scheduler, you can assign a work order by clicking on the unassigned work orders. 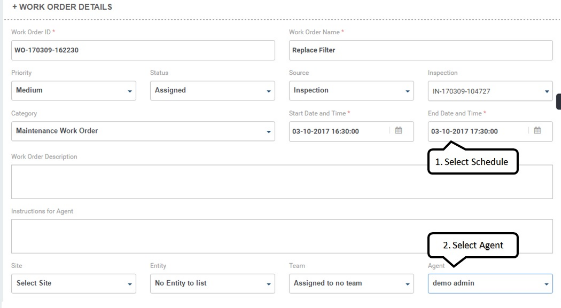 You can drag and drop the scheduled work orders to reassign and change the schedule as needed. Watch this video to easily assign and reassign work orders to different field agents.